ProgressTH: Alternative Energy: What is Biogas? Alternative Energy: What is Biogas? December 26, 2015 | ProgressTH Biogas is quietly gaining ground on traditional fuels, and is used for everything from powering electric generators, to fueling cars, buses, and even trains. It is also replacing petroleum-based cooking gas across many parts of rural Asia, including India, China, and Thailand. To make biogas, one needs only to create a sealed container and "feed" it everyday with organic waste which could be everything from kitchen scraps, to landscaping and farm leftovers. Inside the sealed container, bacteria breaks down the organic waste. Because there is no oxygen in the sealed container, the bacteria convert the waste into nutrient-rich fertilizer and several gases collectively called "biogas." Its primary component is methane, a flammable gas easily used as fuel. The process of biogas thus provides a means of waste management, gas production, and onsite fertilizer production. The scale on which you can produce biogas ranges from home-based units the size of a car, to industrial sites capable of disposing the waste of and powering entire towns while also providing their communities with tons of high-quality organic fertilizer. 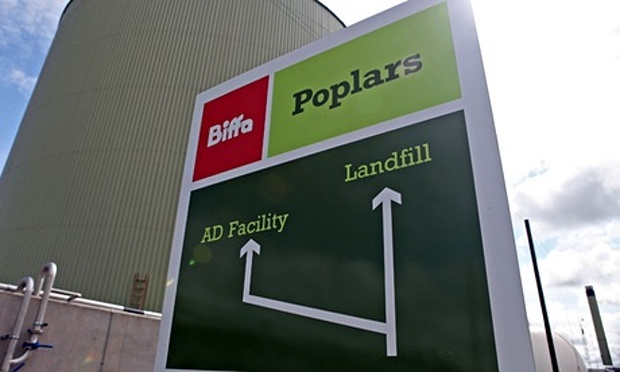 Waste management company Biffa in the United Kingdom, for example, operates the Poplars anaerobic digestion (AD) plant. It can handle 120,000 tons of food waste per year, and generates up to 6.5 million megawatts of electricity, enough to power 15,000 homes. The fully digested organic material the plant produces (300 tons of it per day) has recently been certified for use in agriculture as a fertilizer, thus completing the cycle from food waste back to food production. UK based waste and recycling firm, Biffa, has secured PAS 110 accreditation for the liquid fertiliser it produces at its 300 tonne per day Poplars anaerobic digestion facility in Cannock, Staffordshire. The company said that the organic bio-fertiliser produced at the plant, one of the largest anaerobic digestion plants in Europe, is produced from source-segregated food waste sourced from commercial food producers and local authorities. That is a truly large scale operation, but we can imagine smaller operations run by communities or individual farmers that may have equally positive impacts on energy use, waste management, and fertilizer production and application. Beyond waste management, and fertilizer production, the production of electricity means that biogas could be used to charge transportation infrastructure built up out of electric vehicles. 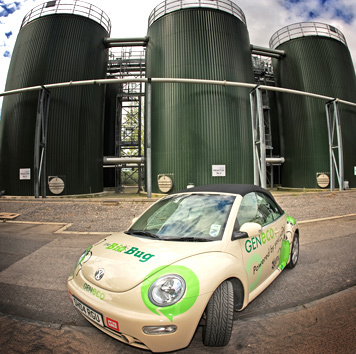 Biogas can also be used to power vehicles directly. In Sweden, a large and growing percentage of cars on the road are powered by biogas. 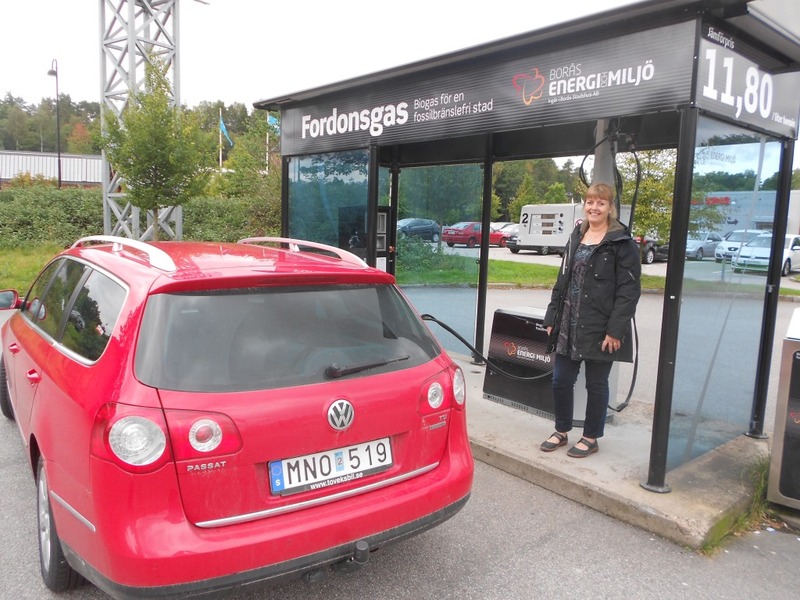 At the end of 2009 there were over 23,000 gas vehicles in Sweden and 104 public filling stations, reports Gasforeningen, the Swedish Gas Association. Vehicle fuel sales during 2009 amounted to more than 67 million cubic meters, an increase of 16 percent compared to 2008. The share of biomethane in vehicles’ gas has also grown, recording an increase over 2008 of 27 percent. Vehicle gas replaced petrol and diesel equivalent to 45 000 passenger cars in 2009, resulting in approximately 130 000 tonnes less carbon dioxide being released. That's pretty impressive, and good news for everyone, since biogas can be made anywhere, anytime, as long as you have organic waste, which as a matter of modern society, there always is and in much abundance. Rather than burying it in landfills, transforming it into energy and fertilizer turns garbage into gold. As the technology for creating biogas is refined and as communities improve their technological literacy and competence, we can imagine in the near future entire power and transportation grids in-part powered by solar energy, and partly by biogas production either directly or indirectly with the electricity the gas can be used to produce. This biogas system can produce enough gas for daily cooking needs for an entire home. It can also power a generator to charge batteries for solar homes on cloudy days. 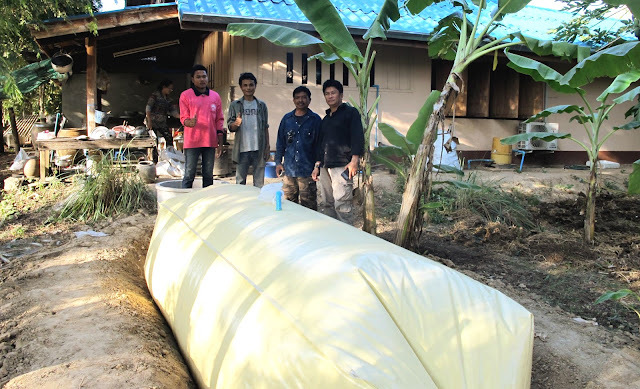 For now, if you are in India, China, or Thailand, there are many groups working on bringing biogas to rural homes and communities across the region. Here in Thailand, in the province of Phetchaburi, the Pedang Model project is spreading information and knowledge to help communities power, heat, and cook for their communities through solar and biogas. You can get in touch with them via Facebook here, or by contacting ProgressTH via Facebook or e-mail.